Unai Emery’s life in English football began with a difficult quirk of the fixture list. Our opening two games were against Man City and Chelsea, and we know both ended in defeat. Since then we’ve remained unbeaten in all competitions, even when the schedule was unkind. We could have had a much longer trip in the Europa League before we played Sp*rs and then Man Utd within three days of each other. We have Liverpool away right towards the end of the festive period, and looking further ahead we again have Sp*rs and United within 7 days of each other in March – games which could well sandwich a Europa League Round of 16 tie. He’d be well within his rights to think things might have been a little easier, but it is what it is and we’ll just have to get on with it. So far he seems to be coping pretty well, but obviously the rest of this month is hectic – we have seven games in twenty one days, and that’s going to be a massive test for the boss and his squad. The job is made more difficult by the injury absences: Danny Welbeck would have been a very useful player over this period, and it looks as if Rob Holding’s season is over as whispers of a cruciate knee ligament injury abound. It’s an awful blow for a player who has improved this season. His performances may not have been spectacular, but they were solid and consistent and for a central defender, particularly one who is still just 23, that’s basically what you’re looking for. Unquestionably it will give Emery something to think about, particularly as he considers his teams for the upcoming games. You wonder if the three at the back is something we might see more often when we face the big teams like Liverpool, Man City, Chelsea and Man Utd, occasionally using it against smaller opposition like we did last Sunday, and in terms of personnel available to him it might make sense to revert to a back four. Both Shkodran Mustafi and Sokratis are both a yellow card away from suspension, and the inherent risk of playing all your available central defenders was brought home to roost by Holding’s injury at Old Trafford. We didn’t have a centre-half on the bench, Stephan Lichtsteiner came in and did a job, while Mohamed Elneny has been deployed there on occasion in the past but neither are options you’d want to use for any sustained period of time. The return of Laurent Koscielny is timely but right now it’s also one with a big question mark hanging over it. Can he recover fully from such a traumatic injury at the age of 33? Will his game be the same? If not, can he adapt to a different way of playing? Will he suffer any niggles or aches and strains due to the Achilles problem which, let’s remember, was described as ‘chronic’ for years before it went in Madrid last May? It’s a lot to expect him to come back and solve all our defensive problems. Nacho Monreal can play as a centre-half, but primarily as part of a back three, but again we’re not looking at a long-term option here. People are already talking about a January signing, and I can understand why, but I wonder if the club will be thinking more about an internal solution than dipping into the market. Last January we bought young Greek defender Dinos Mavropanos. I say ‘we’ but it was clearly a Sven Mislintat signing sanctioned by then chief executive Ivan Gazidis. At first Arsene Wenger seemed a little dismissive of the new boy – perhaps because of the way the signing was a clear sign of how powers were beginning to shift – suggesting we’d sign him and then immediately loan him out. Having watched him on the training ground though, the former boss changed his mind and insisted he stay – and towards the end of the season he played a few games. He was impressive enough, but it’s also worth pointing out how odd those particular fixtures were end of an era games under Wenger at a time when we’d assured a top 6 finish, and in one of them he was sent off for a rash challenge. There were promising signs, but we haven’t seen enough to make any definitive judgement about him. However, it was Mislintat’s eye for talent that got us Matteo Guendouzi – he outlines the background to that signing here – and Lucas Torreira’s arrival at the club was in no small part down to the Head of Recruitment. Which is to say he does have an eye for a young player, and when you consider the financial situation, the fact that transfer funds are limited and January isn’t always the best time to buy, it wouldn’t surprise me in the slightest if he became much more involved over the coming weeks and months. 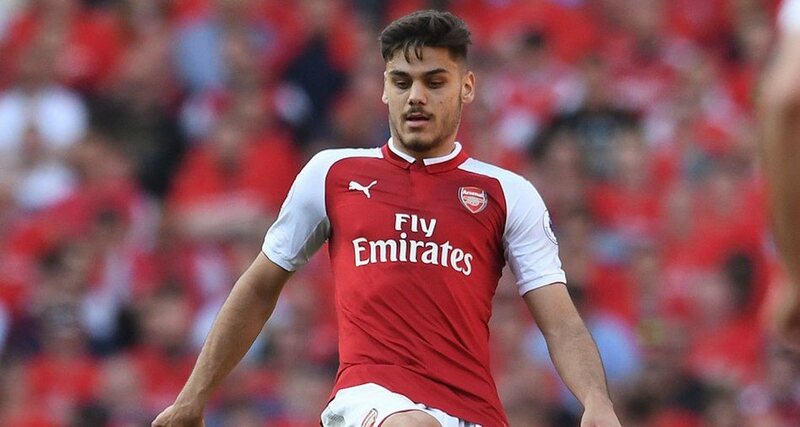 Of course the door of opportunity which is currently open for Mavropanos is waiting for him to walk through it uninjured, and he’s been out for the entire season so far with a groin problem. It can only be held ajar for so long before we actually have to consider another option and perhaps a foray into the January sales, but my suspicion is that this current set-up would prefer first and foremost to give this young player a chance than buy because their hand has been forced by Holding’s injury. Time will tell obviously, but if Emery, Mislintat and Raul Sanllehi aren’t having serious conversations about the central defensive situation then I’d be very, very surprised. Koscielny may well be in the squad for this weekend’s game against Huddersfield, and we’ll wait for official confirmation of the extent of Holding’s injury. We’ll preview that game tomorrow, and we’ll have all the news throughout today on Arseblog News. For some extra reading this morning, here’s Tim Stillman’s latest asking if Mesut Ozil can buy into the new methods at Arsenal. He’ll be absent again this weekend it seems. Finally, before the podcast, for those of you wondering what to get the Arsenal fan in your life this Christmas, you could do a lot worse than one of the prints from designer Matthew Wood. The Highbury ones in particular are lovely, but check them out here and maybe that’ll take some of the hassle out of your upcoming shopping. Right then, let’s leave you with a brand new Arsecast, reflecting on what has been an enjoyable week for the club and beyond. I chat with Goonerholic and the Man from East Lower, you can win a t-shirt, there’s a good dose of the usual waffle and more. Listen/subscribe below.